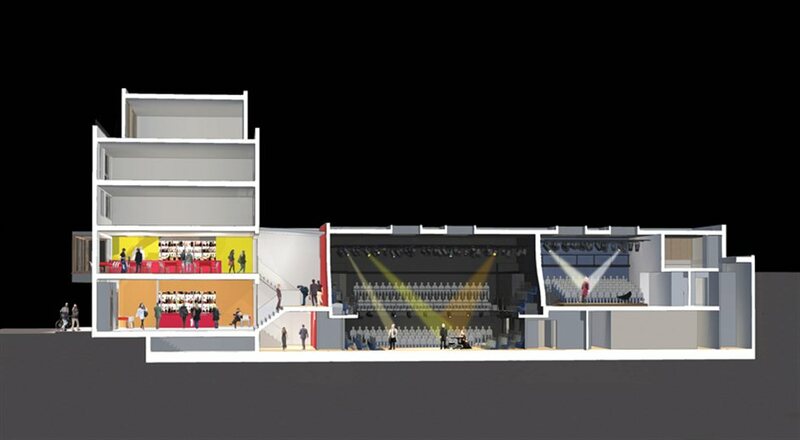 The £2.2 million Park Theatre is situated two minutes' walk from Finsbury Park tube station and houses a two-tier 200 seat and a 90 seat theatre, an education floor and a cafe and bar with a late license. Set up by husband and wife team Jez and Melli Bond with support from high profile actors including Ian McKellen and Sherlock star Benedict Cumberbatch, the state of the art theatre is unique in this part of London. Its focus is on encouraging local arts participation as well as staging theatrical performances to rival the West End. It aims to build an international profile and has already achieved some success in this area by setting up partnerships with established New York theatres. Architect David Hughes, who was involved in the building, described the "drastically remodelled" 1960s office frontage which has been converted into a "contemporary theatre that challenges the traditions of the West End". What are the best dining options near Park Theatre London? Park Theatre gyms, sporting activities, health & beauty and fitness. The best pubs near London Park Theatre. Park Theatre clubs, bars, cabaret nights, casinos and interesting nightlife. Where to have your meeting, conference, exhibition, private dining or training course near Park Theatre. From cheap budget hotels to luxury 5 star hotels see our discounts for Park Theatre hotels, including Holiday Inn Camden Lock Hotel from 80% off.